When you serve from a food truck or concession trailer, you must be able to operate in a variety of challenging environments. But most locations food trucks operate on like an open-grass fields, dirt fair grounds, or even paved city streets were not designed for food to be prepared and served at. One of the big challenges with these vending locations is that your concession trailer or truck won’t be resting level on the ground. An uneven kitchen can be a huge problem as a chef, especially if you’re serving any type of deep-fried foods. An uneven deep fryer on a concession trailer can result in more spills and create a dangerous work environment on a vehicle. Other routine cooking tasks can become a major challenge too and those issues can be magnified when multiple employees are working inside the mobile kitchen. Operating on uneven ground is a problem that food truck vendors encounter on a daily basis. But until recently there was nothing an operator could really do to serve on a flat surface aside from looking for the smoothest surface to park on at any given event, which might not always be the most profitable place to set up. As you can see from the video demonstration, you are able to literally push a single button and the four hydraulic jacks will position themselves in place underneath your truck to stabilize and level the vehicle on any surface. This makes operating the food truck much more comfortable and safe. When it’s time to leave the vending location all you need to do is press the “all retract” button and you can be on your way. Since this is such a daily pain point for food truck and concession operators a like, we wanted to learn more about the automatic leveling system. Below is a Q/A with Nick Godfrey from Equalizer Systems to answer a few questions we had about this innovative product. Equalizer Systems is located in Elkhart, Indiana, and has been supplying lifting and leveling jacks to the RV, Horse Trailer, Motorsports, and Commercial markets since 1990. What problem does this hydraulic leveling system solve for food truck owners? Whether a food truck owner chooses a manual or Auto-Level system, we are eliminating the chance that the truck will sit off-level based on the surface it’s parked on. Having an unlevel surface makes the cook tops, fryers, refrigerators, and all other kitchen equipment uneven; as well as the floor people working in the truck are standing on! In addition to that, our jacks will stabilize the truck, doing away with any movement caused by everyone inside. Are there any operating food trucks that have installed this? There are a few trucks out there with these systems on them, and the results are definitely positive! Do you need to get this installed during the build process on a truck? These systems can be installed either during the build, or after. With most trucks being built on a straight chassis, we’ve found the majority of them to have plenty of room underneath for the jacks, hydraulic pump, and controller. The only component of the leveling system that needs to be mounted inside the truck is the control panel, making these set ups non-intrusive to the kitchen! How much does this cost to install? As far as cost goes, the Auto-Level system goes for $2995. The two jack manual system retails at $1299. We really think a leveling system is an option that will someday become a standard for food trucks. It’s difficult to show the benefits of having a leveling system without there being a dealership like the RV industry has, but one it’s out there for people to see, it will be obvious why we’re so passionate about making this known and available to the industry! Interested in getting this installed on your food truck or concession trailer? Visit EqualizerSystems.com, or contact Nick directly at 800-846-9659 ext. 324 to learn more about the Auto-Level system. 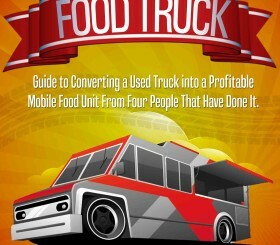 Why Are Food Trucks So Popular? Four Reasons MegaTrend Will Continue. What Country Has the Largest Number of Food Trucks?